Kulfi Kumar Helpless Sikandar Amyra clears out that she can never share him with Kulfi. Sikandar asks Lovely if Amyra knows the truth that Kulfi is his daughter. Lovely tells him that Amyra is not at fault, she is aware of everything and doesn’t want Kulfi. She asks Sikandar to go and get Kulfi. Amyra tells them that she has few days left with Sikandar, and she doesn’t want him to be with Kulfi until she is alive. She asks him to give all his time and attention to her. Sikandar apologizes to her for not loving her enough to end her insecurities. He feels responsible for Amyra’s state. He gets helpless and accepts Amyra’s condition. He tells her that he will not go to find Kulfi for a while. Kulfi cries that she failed to escape. The kids encourage her and ask her to be positive so that they can try escaping again. Amyra tells Sikandar that its his fault, since he didn’t keep his promise. She tells him how badly she missed him and took this big step to get his love. She makes him promise that he won’t bring Kulfi back. She is not sure about his promise. He gets emotional when she talks about her death. He wishes to find some way to save her life. Lovely cries for Amyra’s miserable state. Sikandar doesn’t know where life has brought him. He wonders where is Kulfi where did Lovely send her and how is she leading her life. He hides his worries for Kulfi. He misses Kulfi deeply. He gets Kulfi’s photo and realizes that he took the print out from the shop. He stops himself by recalling the promise given to Amyra. He is much angered that his fate isn’t changing, both his daughters are going away from her. He wishes his fate changes and both his daughters stay with him. He challenges his fate to test him further, but not at the cost of snatching his daughters. Kulfi and her friends try to make some plan to escape. Kulfi finds the clock robber and thinks of confronting him. Sikandar wants to give happiness to Amyra in every way possible. He doesn’t want to go against her word so that she doesn’t get more disturbed. Amyra loses her breath for a while, which worries Sikandar and Lovely. Lovely swears to him that she will never come between Kulfi and him. She feels she is getting punished for separating a daughter from a father. She wishes that someone fulfills her prayer and makes Amyra fine. 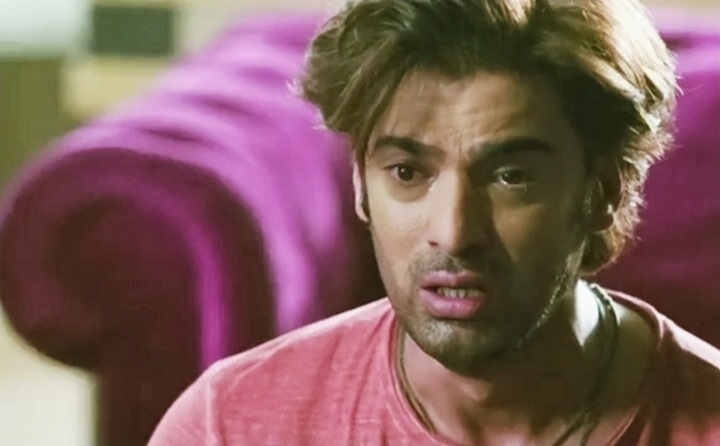 Sikandar promises Amyra that he will try his best to get her treated and make her recover. He doesn’t want to lose her. Amyra spends time with Sikandar and tells her how fate is becoming cruel for her to separate her from her parents. She wishes to celebrate her birthdays with Sikandar and also go on a vacation with her parents. She asks him why is the fate being so unfair with him. Sikandar has no answers to give him. Kulfi and the kids confront the boy Rocket for stealing the clocks. Omg is Amyra for real is she as much cruel as Lovely now? thought this show is about Kulfi and Sikander finding their way back to each other?